From the 1528 volume of human figure proportion by Albrecht Dürer (1471-1528). Full scan of the volume HERE. 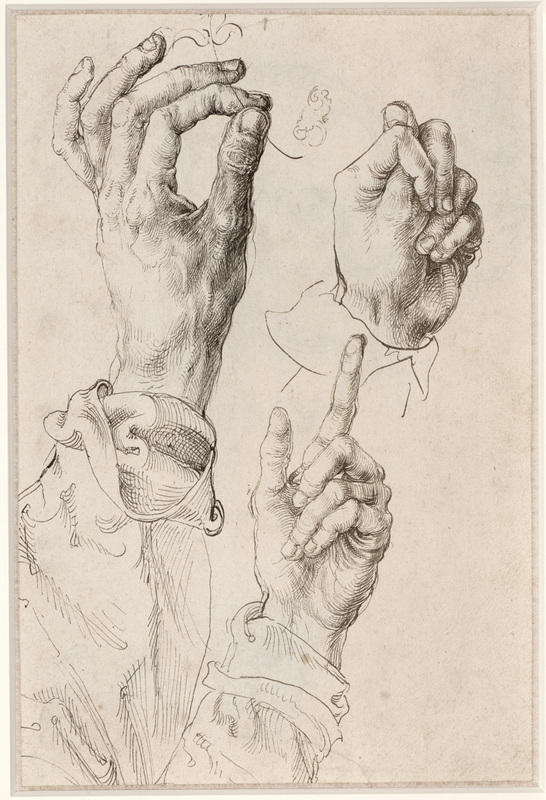 For more studies by Durer of hands in various gestures see HERE. For an article on what Durer was up to in his books of human proportion see HERE.